Applications are invited for an AHRC-funded Collaborative Doctoral Award with the University of Exeter and BT Archives to research and study the origins, development and impact of the Imperial Wireless Chain, the global network of shortwave radio stations that reputedly played a critical role in British colonial integrity from the 1920s to the 1940s. This project focuses on one of the most extraordinary milestones in the history of global telecommunications and represents an exciting opportunity for students with backgrounds in the history of science, technology, and modern British and imperial history. First conceived by Guglielmo Marconi in 1906 to use long-wave transmitters, the Imperial Wireless Chain (IWC) was postponed following a political scandal and the outbreak of the First World War. In the early 1920s, and at some financial risk, the Marconi Wireless Telegraph Company developed its innovative ‘beam’ short-wave system and this was eventually adopted by the British government for the IWC. The first pair of ‘beam’ stations opened in Britain and Canada in 1927 and within a few years similar stations followed in Australia, India, New Zealand, South Africa and South America. It soon became one of the most widely used forms of long distance communication in the British empire and posed such a threat to the ageing submarine cable business that had constituted the ‘nervous system’ of the British empire that the British government was eventually forced to amalgamate the newer and older forms of telegraphy into one of the largest telecommunication firms of the 1930s: Cable and Wireless. Despite its importance, the history of the Imperial Wireless Chain has not been the subjects of systematic scholarly study. 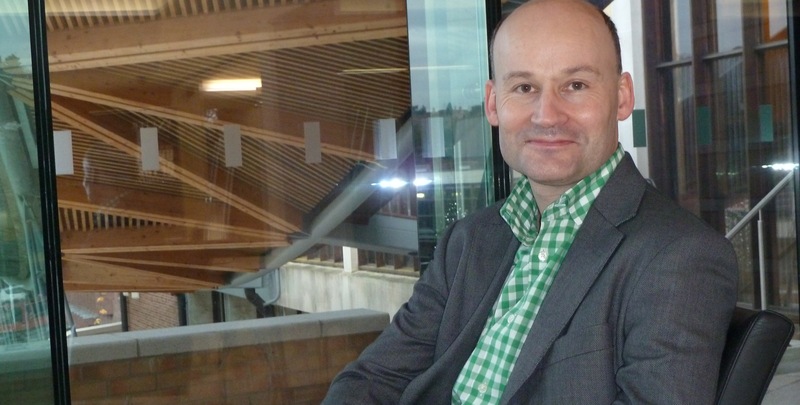 Professor Andrew Thompson, Director of the Centre for Imperial & Global History at the University of Exeter, has been appointed as interim Chief Executive of the Arts and Humanities Research Council (AHRC). Professor Thompson’s research interests focus on the relationship between British, imperial and global histories and the effects of empire on British private and public life during the nineteenth and twentieth centuries. A chilly start at Reed Hall, Exeter! We were delighted to welcome Imagining Markets network participants to Exeter for our first event last week. This is the first of a series of three academic workshops, with subsequent events to be held in London and Cambridge over the next year, exploring various facets of Britain’s economic culture and its relationship with key markets. Paul Young opened proceedings with a paper exploring how the growth of the refrigerated meat and beef stock industries led to new understandings of the South American environment in Victorian literature such as the eco-romance The Purple Land and in advertising, where the Uruguay-based Leibig’s company had to compete with the imperial populism of Bovril. Alan Booth introduced a new project exploring the development of the Rowntree business lectures, which emerged after World War I in a context of growing global economic competition to British business, and interest in new American methods of industrial psychology and management consultancy. Interested in pursuing a PhD in imperial and global history at the University of Exeter? Consider applying through the SWW Doctoral Training Partnership. The South, West & Wales Doctoral Training Partnership (SWW DTP) is a collaboration of eight leading research universities and partners representing the arts, heritage, media and government sectors, working together to develop a new generation of arts and humanities researchers. We are offering up to 52 fully-funded PhD studentships for entry in September 2015. Cross-posted from the Arts & Humanities Research Council. 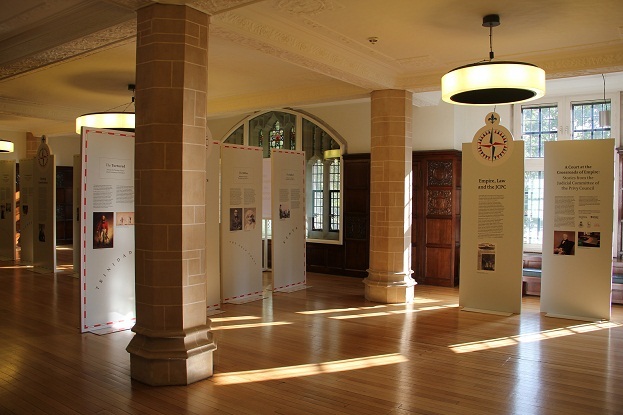 The London exhibit on law and the British Empire, spearheaded by the Centre’s own Dr. Nandini Chatterjee, has had more than 25,000 visitors so far, and is open to the public until September 26th. The University of Exeter, in collaboration with the Universities of Oxford, Columbia, Leipzig and Belgrade, the Hungarian Academy of Sciences, and University College London, has recently been awarded a major Arts and Humanities Research Council Grant (2014-18) to address the relationship between what were once called the ‘Second World’ (from the Soviet Union to the GDR) and the ‘Third World’ (from Latin America to Africa to Asia). In the post-war period, as both decolonization and new forms of globalisation accelerated, new linkages opened up, and existing ties were remade, between these ‘worlds’. Contacts multiplied through, for instance, the development of political bonds; economic development and aid; health and cultural and academic projects; as well as military interventions.